GM says it plans to defend itself against "baseless" allegations. General Motors has been accused of installing "defeat devices" similar to the ones Volkswagen used in order to beat emissions tests on hundreds of thousands of diesel truck engines. Consumer-focused law firm Hagens Berman filed a class action suit in Detroit on Thursday on behalf of 705,000 U.S. owners or leasers of Silverado and Sierra diesel trucks with Duramax engines from the 2011 to 2016 model years. According to the lawsuit, affected vehicles have three different types of technology installed on them designed to make them pass emissions tests, "while in real world conditions the trucks emit two to five times the legal limits of deadly NOx [nitrogen oxide] pollutants." Compared to gasoline engines, diesel engines typically have much more power for their fuel efficiency, but they come with a trade-off in terms of more harmful emissions. Makers of modern diesel engines claimed to have solved that problem before allegations of emissions test rigging first emerged in 2015. 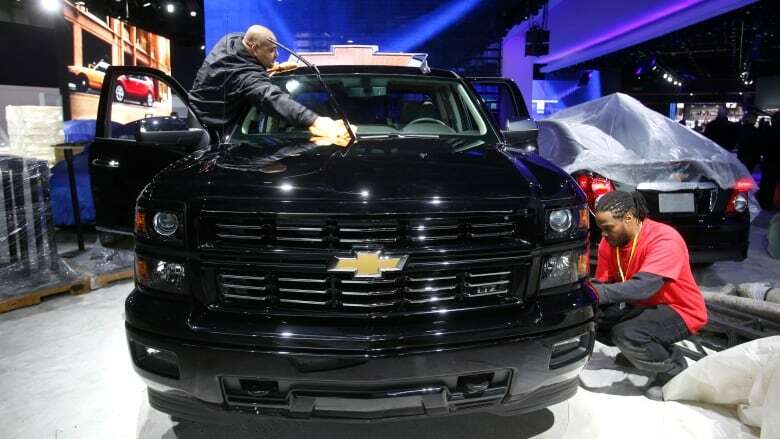 "GM's representations are deceptive and false," the statement of claim reads, "and GM sold these vehicles while omitting information that would be material to a reasonable consumer that GM has programmed its Silverado and Sierra Duramax vehicles to significantly reduce the effectiveness of the NOx reduction systems during real world driving conditions." The lawsuit seeks a variety of damages, including possible refunds or lost resale value as well as punitive damages. Hagens Berman was involved in similar litigation against Volkswagen and helped reach multibillion-dollar settlements with that automaker. In a statement to CBC News, GM Canada disputes all the allegations. "These claims are baseless and General Motors will vigorously defend against them," spokesperson Jennifer J.Wright said. "The Duramax Diesel Chevrolet Silverado and GMC Sierra comply with all U.S. Environmental Protection Agency (EPA)/ California Air Resource Board (CARB) and Environment and Climate Change Canada (ECCC) emissions regulations." GM is just the latest major automaker to be accused of cheating since Volkswagen was first implicated in 2015. "We're now seeing a handful of these issues arising with other companies," said Tony Faria, director of the office of automotive research at the University of Windsor's Odette School of Business. Since 2015, Daimler, Renault, PSA Peugeot and — just this week — GM's fierce rival, Fiat Chrysler, have been accused of using similar technology to cheat emissions tests. In all those cases except Volkswagen, Faria noted, the companies have vigorously denied knowingly using any sort of technology to cheat the system. In many cases, Faria said, the software in question isn't so much a defeat device as a safety feature. "They have software that allows the engines to back off on some pollution-control equipment under certain circumstances — such as when the engine is overheating," Faria said. "The software will back off, which is perfectly legal," as long as the company discloses that. Faria says Volkswagen's debacle has brought more scrutiny on the entire industry, which pitched modern diesel engines as an environmentally friendly alternative to the smog-belching diesel engines of yore. "We're going to have to see how this plays out." ANALYSIS| Could the Volkswagen scandal lead to the death of diesel?